Join Capt. 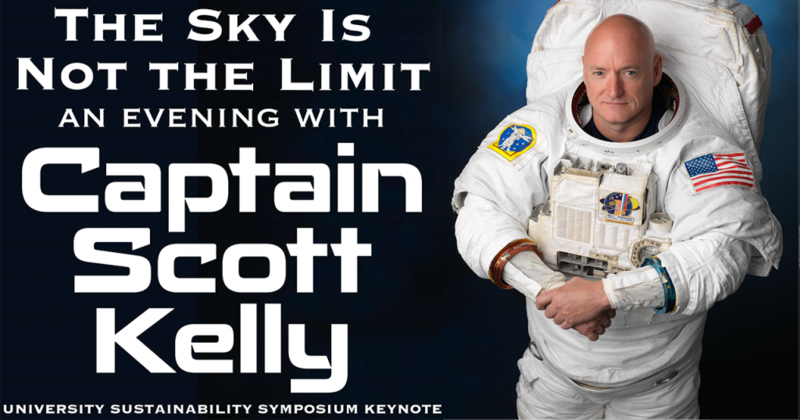 Scott Kelly for the University Sustainability Symposium keynote, “The Sky Is Not The Limit,” Feb. 18. Kelly spent a record-breaking one year on the International Space Station. Free, limited priority seating for students with ISU ID. Presented by the Iowa State University Lectures Program. More information here.